Previous Try this simple formula to achieve your goals and Thank me later! Home » Motivation » In difficult situations, Be a Butterfly! 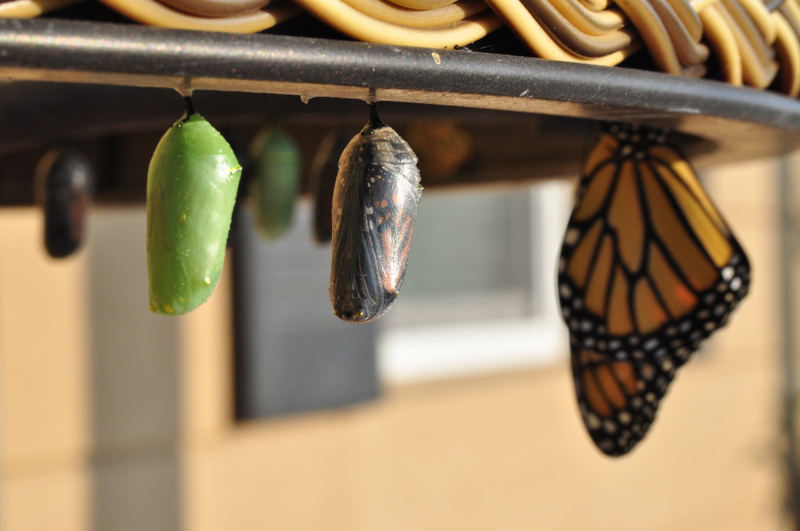 A man saw a cocoon of a butterfly in his garden. The butterfly was struggling to emerge from the cocoon from a tiny hole. Soon, it appeared that it was stuck. After waiting for hours, the man decided to help the butterfly & cut open the cocoon. As it emerged, he saw its body was swollen & it had tiny wings. He waited for it to enlarge its wings & fly, but sadly it didn’t. Now, the butterfly would never fly for the rest of its life. Although the man had the best intentions, he didn’t realize that the tiny hole & the struggle required to emerge from it was Nature’s way of forcing the fluids into the wings so that it can fly. Bottomline-Our struggles in life are important for us to become stronger. We need to face challenges on our own & bravely, without expecting others to rescue. That’s the only way to lead a respectable, happy life & succeed. PS: Had to share this motivational story while coping up with the Monday blues, as I get many messages where people rely on others to solve their problems. Please, understand-others cannot solve your problems, only you can!